Many teams are heading towards the finish line of the regular season and it's an exciting time of year with everyone looking to finish strong. 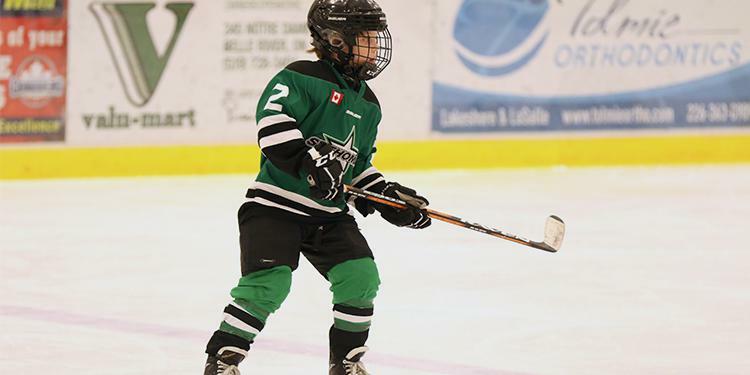 Think about what your most memorable moments are from playing hockey as a kid and how it developed your love of the game. Dave Poulin is a man who’s done it all in hockey and his resume backs it up. Even though he didn’t start playing organizaed hockey until he was nine, Poulin still climbed up the ranks as a player, coach and general manager because of what he credits as simply loving the game. He first hit the ice as a figure skater in Timmins and played multiple sports growing up. It wasn’t until his family moved to Toronto that he first joined a hockey team. Poulin credits his figure skating as giving him the ability to skate backwards when other players his age couldn’t. That’s the one lesson he tells kids today – to keep going in whatever you do. There are too many variables in hockey and in life that make sticking to a plan that much harder. Now in a hockey analyst role at TSN in both television and radio, one of Poulin’s favourite things to do is to track what route a player took to make it to the pros. Every country has different development paths which creates unique stories across the league. Before going off to college, which he stresses was to get a good education along with playing hockey, Poulin stayed at home with his friends to play Midget house league. While his size was often used as a strike against him, he stood at 5’11” and 190 lbs., those days are clearly in the past. Two of the best players on the first-place Tampa Bay Lightning are Yanni Gourde and Tyler Johnson, both of whom are undersized and went undrafted. It didn’t matter to Poulin the level of hockey he played or what he played it, just as long as he got to lace up his skates and play what he calls the ultimate team sport.